From now through December 31st, we have a ton of fantastic artisans offering handmade and eco-friendly gifts in the Mistletoe Market at Community Forklift. 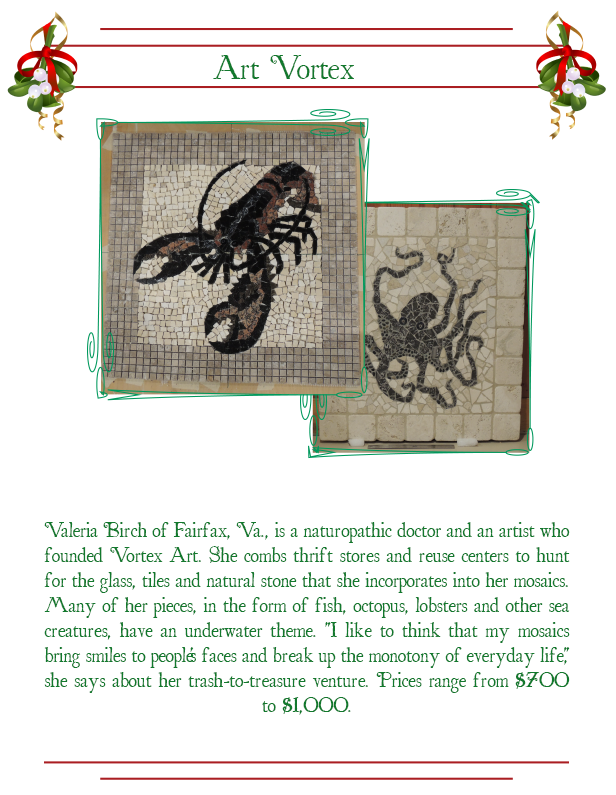 If you need something unusual and amazing for a special person on your list, check out these gorgeous mosaics from Fairfax-based Artist Valeria Birch of Art Vortex! From now through December 31st, we have a ton of fantastic artisans offering handmade and eco-friendly gifts in the Mistletoe Market at Community Forklift. 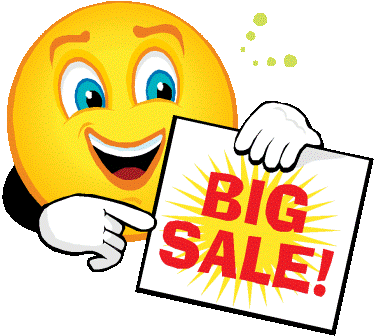 If you still need to pick up some cards to go with those gifts, don’t worry – you don’t need to fight the crowds at the big box stores. 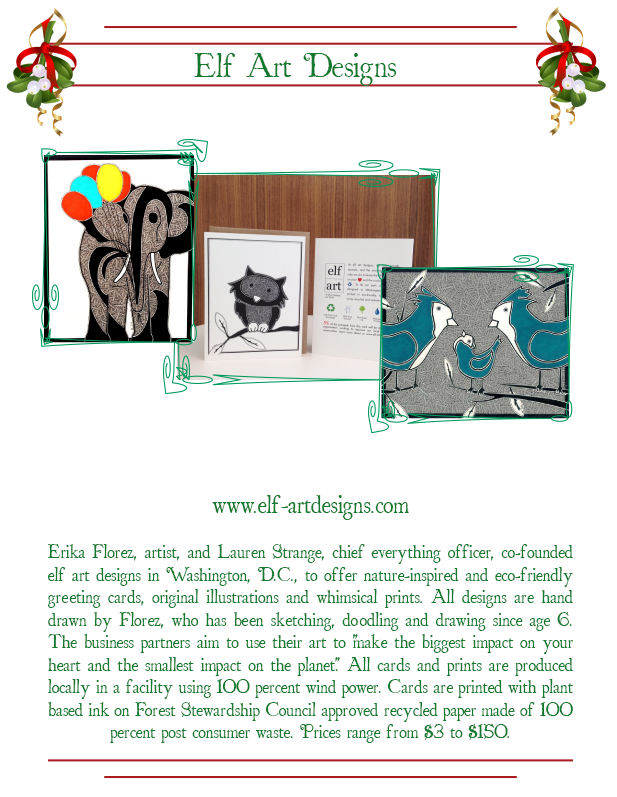 Just stop by the Forklift and pick up some adorable and quirky greeting cards from Washington, DC based Artisan Erika Florez of Elf Art Designs. 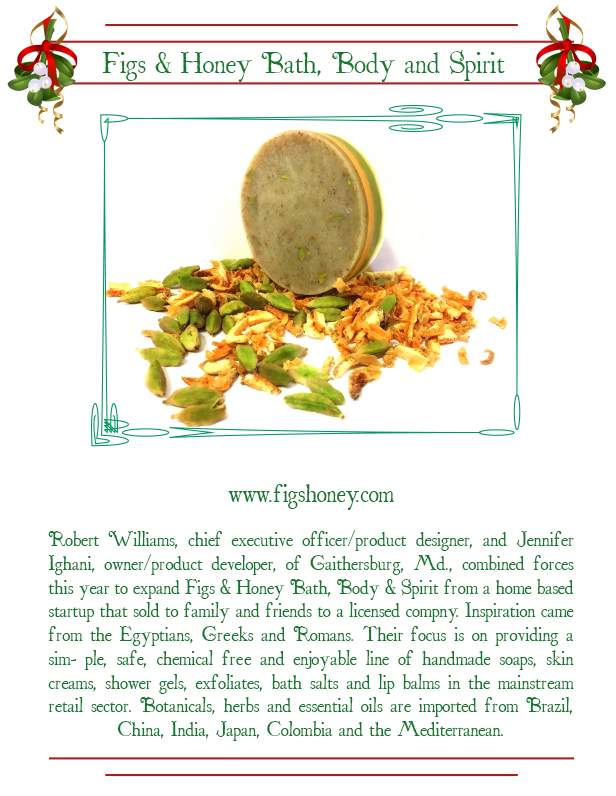 Her packs of general cards are also great presents for folks who love to write hand-written notes, and the larger prints are perfect for the animal-lovers on your list!